EnvEcon Decision Support is a hybrid consultancy and research operation built upon a solid foundation of economic analysis. The company was formed in 2007 by Dr. Andrew Kelly and Professor Peter Clinch. The principals are economists, each with extensive experience and varied specialties in fields such as strategy, policy design, environmental markets and economic development. 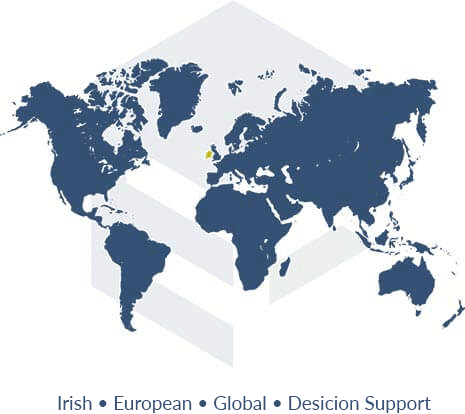 Over the years the company has developed with the support of a number of senior partners including Prof. Denny Ellerman, Prof. Frank Convery, and the late Prof. Brendan Walsh. The work of the company includes research in every sector of the economy and extends from nationally focused analysis to European and global regions. A strong theme throughout much of our work is policy and strategy. EnvEcon specialise in the appraisal, design, implementation and management of policies and strategies to achieve a defined political or corporate objective. Our approach has been to apply our technical skillsets, broad inter-disciplinary expertise and decades of experience across multiple thematic areas and sectors, to offer clients an adaptable and thorough methodological response to any given challenge. Our ambition is to deliver the client robust research, broad perspectives and practical decision support on the matter at hand.